Compact. Fast. Accurate. 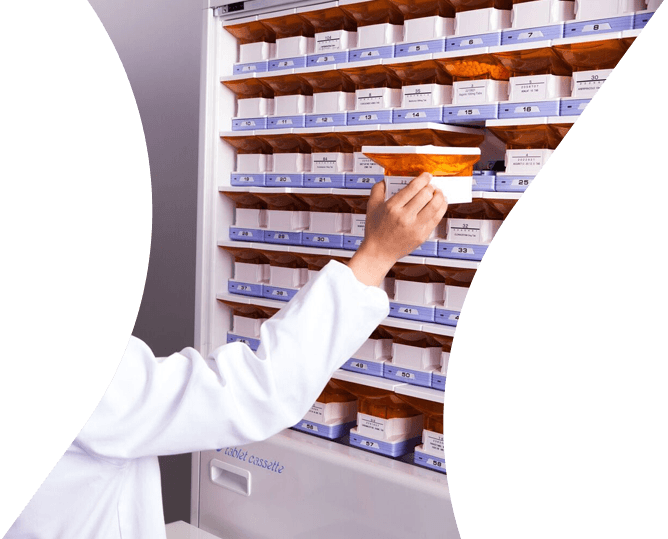 Introducing Alpaca, a state-of-the-art blister pack dispensing robot from the world’s largest pharmacy automation equipment manufacturer. Sam Ledger, Amcal + Pharmacy, Coffs Harbour, NSW holds the Winning Ticket for the Alpaca robot automation promotion. 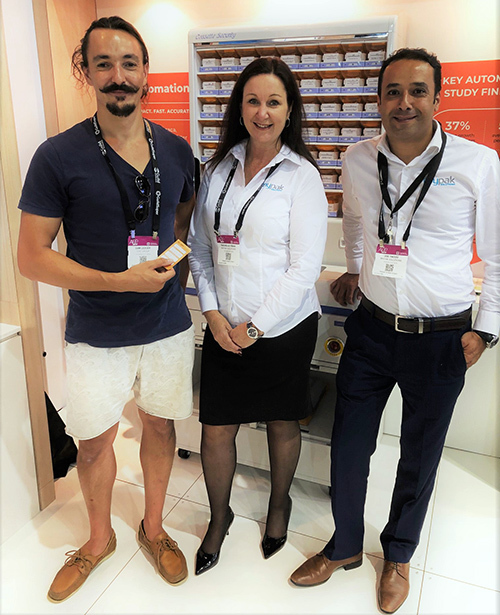 CONGRATULATIONS to Sam who is accompanied at the stand by myPak Solutions GM, Rachelle Frain and Business Development Manager for NSW and ACT , Joe Yacou. Up to 25 percent of patients are non-compliant with their medication regime. Numerous studies show pharmacist intervention can lead to better medication compliance and improve patient health outcomes. myPak Solutions has a complete in-house end-to-end DAA solution to grow your pharmacy business. Unlike other automated packing machines, Alpaca’s small footprint requires minimal space, while significantly increasing pack output. With an Alpaca, a pharmacy will reduce the space required for DAA packing. 1.5 to 3 minutes per pack. Most scripts placed in 40 seconds! Loads 60 canisters at a time. Packs 25 to 40 packs per hour. More accurate than manual packing. The Alpaca improves accuracy of DAA packing. Barcode technology matches foil to patient medications being packed. myPak Solutions has a complete end-to-end DAA solution for community pharmacy. With an Alpaca you can easily scale your business for growth without the need for increased resource. Less than half the cost of some other machines sold in Australia. To learn more, contact us. QCPP compliant. More accurate. Barcode technology matches foil to patient medications being packed. 120 calibrated canisters tailored for your pharmacy. High-speed printer. Intuitive touch screen computer. 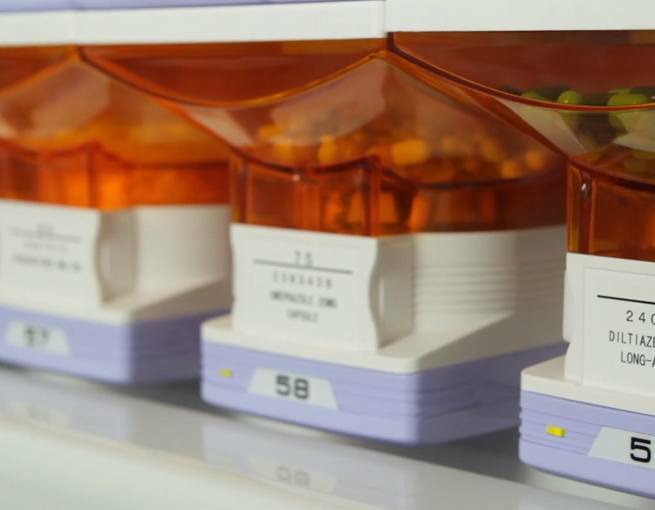 Reveals scripts owing & SOH using automated Virtual Pill Box software. Tidier Dispensary. "We have had fantastic service and couldn’t have asked for more. We were one of the first in Australia to get Alpaca." Quyen – Pharmacy Owner Beenleigh Health Solutions, QLD. "Before we got Alpaca, we were at our DAA capacity. It has made the packing efficient and accurate, allowing us to grow this part of our business across both stores." "Our Alpaca fitted into a very small space in the pharmacy and freed us up from numerous baskets and excess stock." Here you will find some of the most frequently asked questions about our automation. What automation options does myPak Solutions provide? The Alpaca blister packing robot is supplied by Yuyama, a world leading manufacturer of robotic automation based in Osaka, Japan. What efficiency gain can I expect with Alpaca blister packing automation? Pharmacy can expect to improve overall dose administration aid packing and dispensing efficiency by at least 50%, offering the choice to redeploy resources to build professional services or reduce resources where necessary. How many dose administration aid packs can the Alpaca blister packing robot produce? Depending on the complexity of the individual patient packs, the Alpaca robot can produce anywhere from 25 – 40 complete packs per hour. How much space do I need to install an Alpaca blister packing robot? Due to the small footprint of the Alpaca blister packing robot [H1993 x W890 x D590 (mm)], as little as 4 square meters is all the space required for the total Alpaca dose administration work area. How many canisters are supplied with the Alpaca, and what is the canister capacity of the Alpaca blister packing robot? 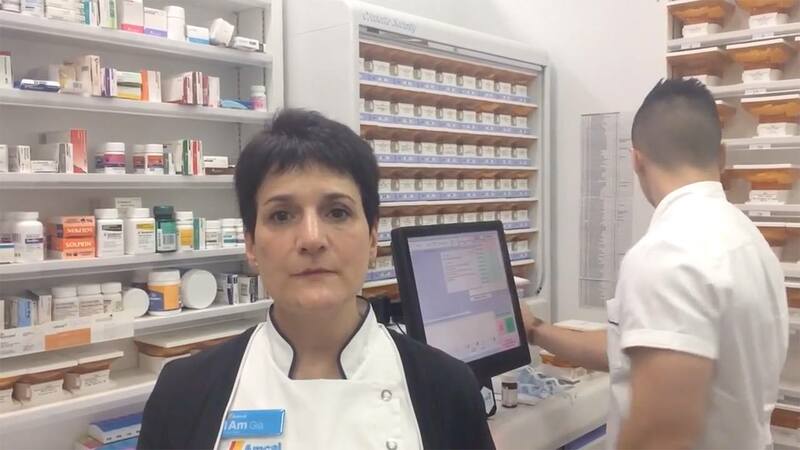 The team at myPak Solutions works with pharmacy to identify the top 120 packed medications, and supply 120 calibrated canisters to suit these medications. The Alpaca blister packing robot has a 60-canister capacity. The Alpaca operator is trained how best to hot swap all Alpaca canisters enabling optimum production efficiency, while the robot is in operation. How many packed patients do I need to have to justify Alpaca blister packing automation? Any volume of packed patients warrants Alpaca blister automation. It allows you to grow volume more easily from a low base and improve operational efficiency if you already have considerable packed patient volumes.